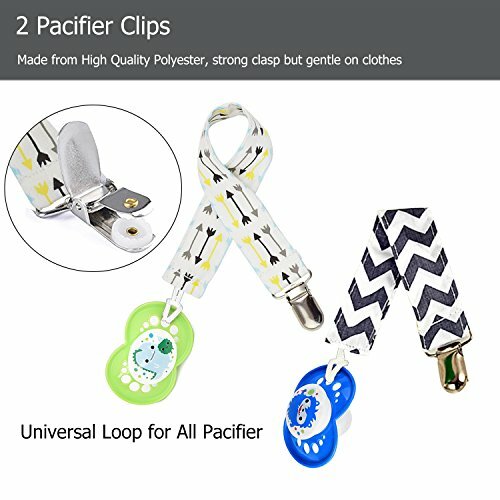 Come with 2 Bottle Clip and Non-slip Baby Nursing Hot Bottle Clamp Holder. 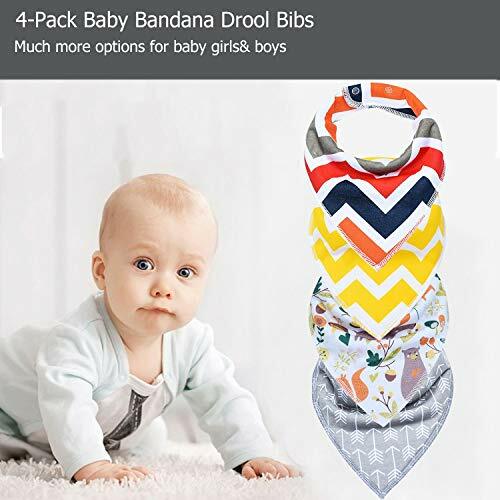 Handpicked unisex design to ensure your baby boy/girl never run out of styling options.. we are trying hard to provide your baby with most safe and comfortable baby bibs，which always keep your baby's clothes dry and clean, always save parents' time to exchange and clean baby's clothes. 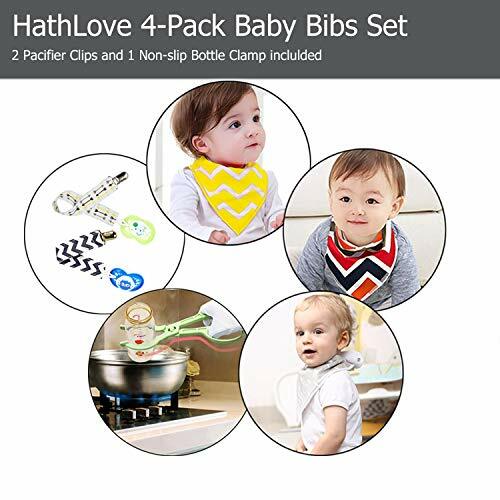 To appreciate you choosing our Hathlove, as the bonus gifts, while you choose our brand baby bibs, we offer you 2 pacifiers and 1 hot feeding bottle clamp for free. -Suitable for boys/ girls aged 1-3 years. 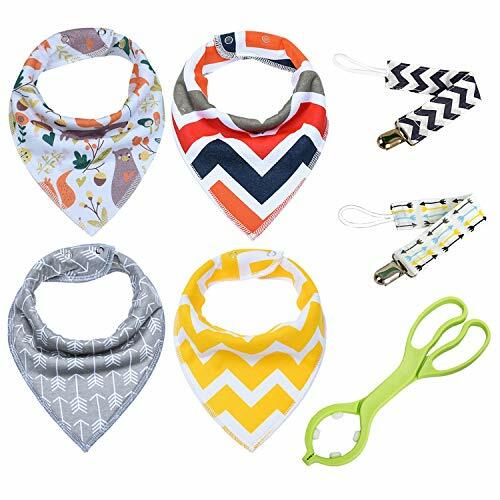 -Cute, fashionable and practical design, always win your baby's heart. 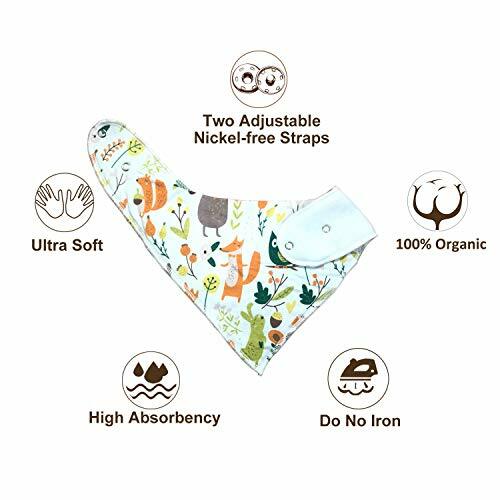 -Comes with BPA free food grade PP hot feeding bottle clamp-Makes your baby hot feeding bottle more safe and easier to hold and clean. -Do not bleach/tumble dry/dry clean. 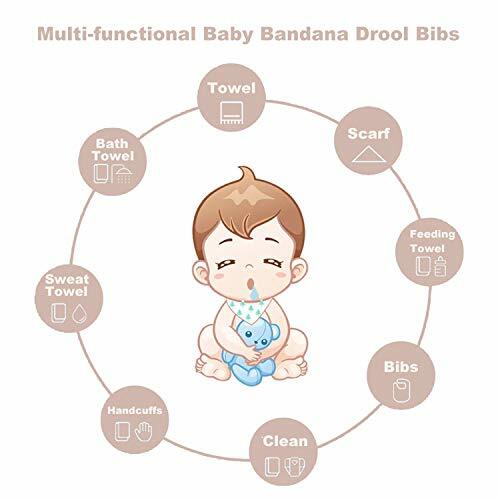 - Avoid fabric softeners as may decrease baby bib absorbency. - Improper machine washing and drying may cause color fading and shape or size alteration. 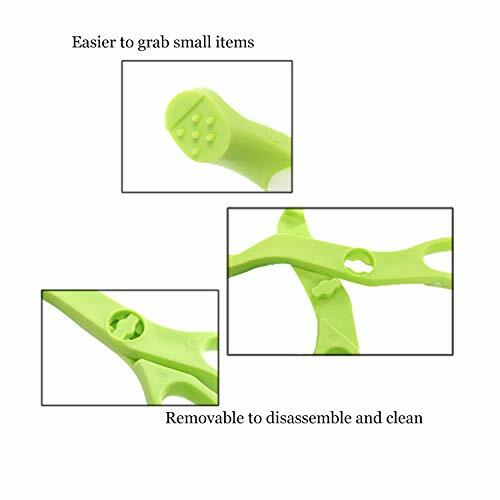 Pros: awesome stuff that is very useful for the price. Cons: Can't think of any. Buy and Earn 567 Points!